I learned almost everything I know about nonprofit management, marketing, and design by doing it. And by doing it, I mean screwing it up and having someone tell me. And then doing it better next time. Like the time we sent an appeal letter that was just signed “The board of X.” I know! Cringe worthy, right? Just one of the times I had someone kindly point out mistakes that made me better at what I do. But today’s lesson-learned-the-hard-way story is about emails. Right after I started my first nonprofit job, I was so excited to send my first email to our email list. I was just an associate, but was promoting a program I was working on. I was given the log on information for our Constant Contact account. So, I logged on and figured out how to format an email. I thought it looked pretty nice. It had a nice blue/yellow color scheme, a nice picture, and clear text. So out it went. I think the email even had a pretty good open and click rate. “Success!” I thought. The company’s marketing and design contractor had a different opinion. This particular contractor would often tell us we should have him do things or run things by him before sending, printing, etc. And to some extent he was right. His stuff looked better than our stuff. But there wasn’t always money or time for that. Not the kindest of feedback, but when I looked at the email again, I knew he was right. Nothing besides the “from” email address said that email was ours. Even though it looked pretty great by itself. I learned my lesson the hard way. And helped that company create templates in Constant Contact that had our logo and colors so it’d be easier to be consistent moving forward, no matter who was creating emails. Now, I have a Brand Quick Reference that has all my colors, fonts, and logos in one document. And I have that saved multiple places so it’s always quick to open. Plus printed copies that travel in my planner and are posted by my desk. If I had been provided with such a document all those years ago, that first email would have looked a lot better. Which is exactly why I created the Storybook Foundry, to help your those on your team avoid those missteps and keep your organization looking professional and consistent. What lessons have you learned the hard way? What one page piece would you create to help others from making the same mistake? 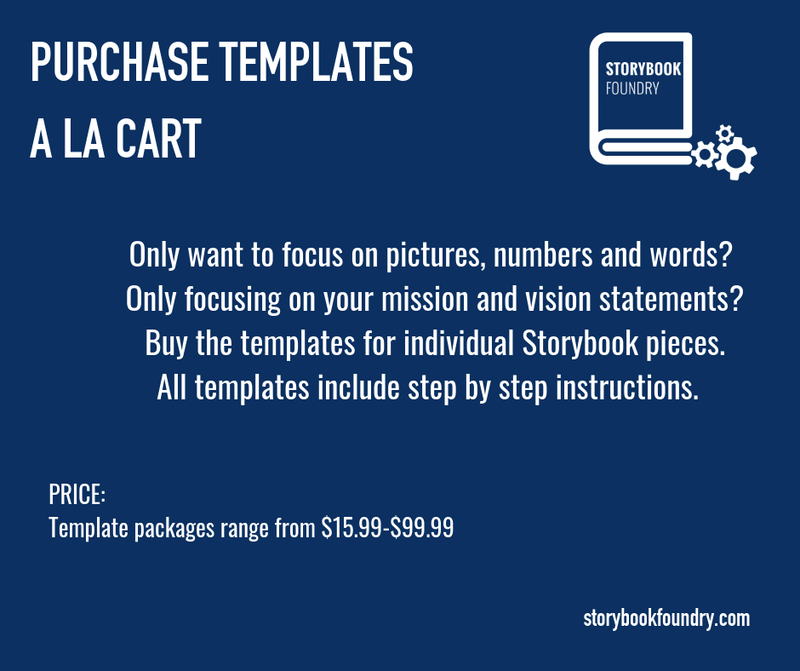 Four paths to your Storybook to be available by end of 2018!